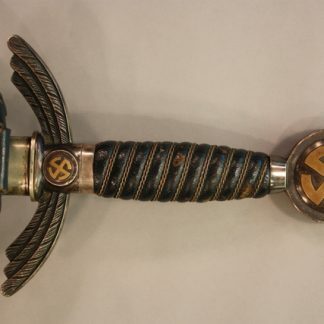 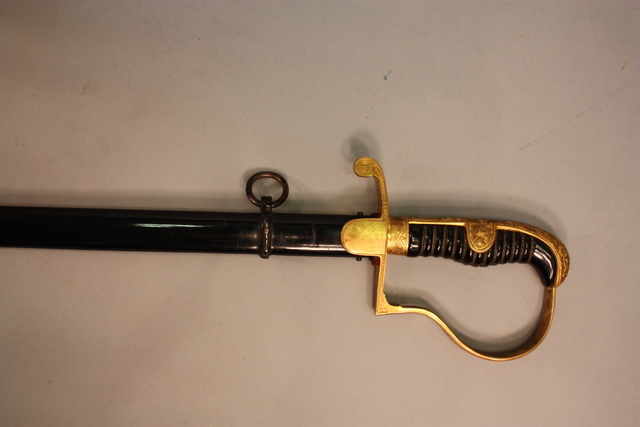 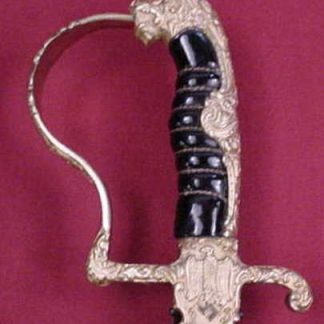 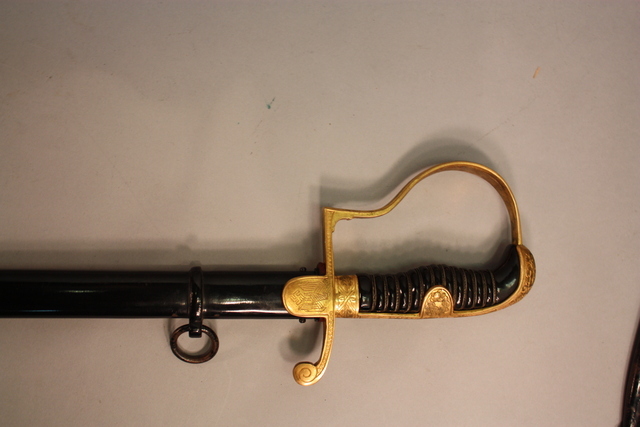 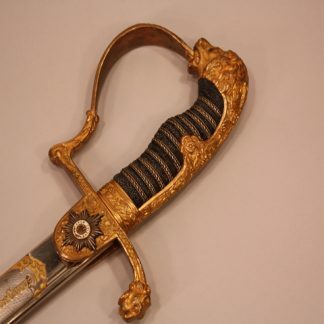 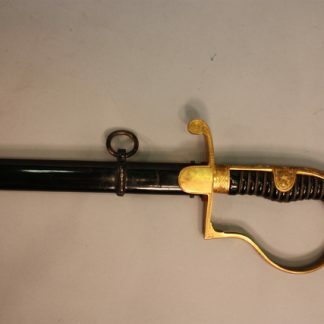 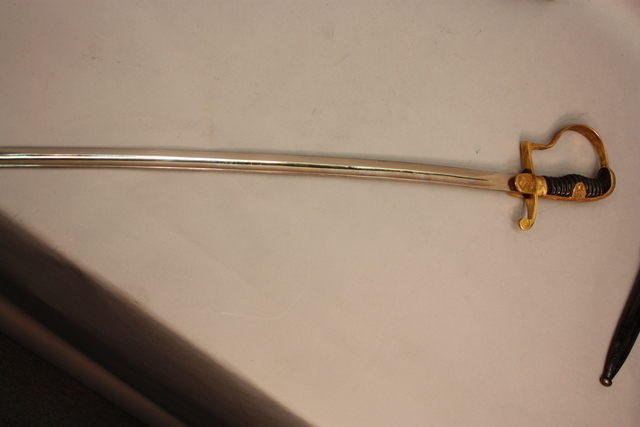 Dove head sword by Robert Klass – Military Collectibles, Inc.
Nice Brass hilt with 95% gold remaining. It has an engraved army eagle on langet. 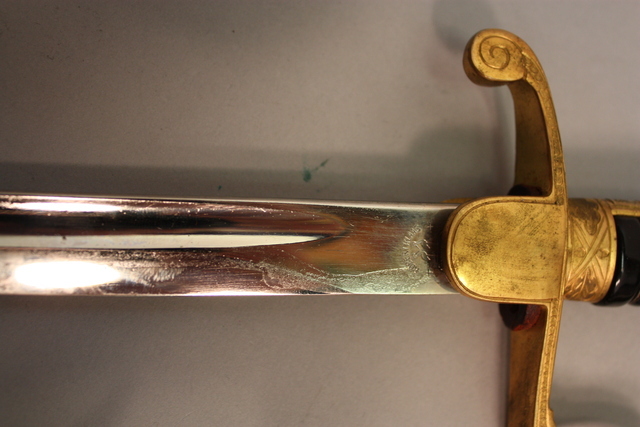 The back strap is engraved with oak leaves. 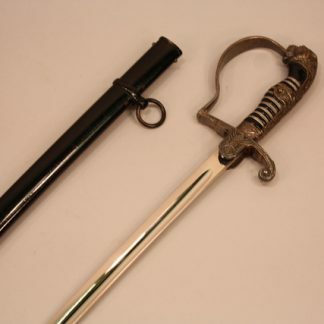 The grip is flawless and triple wire wrapped. The blade is bright with no damage. 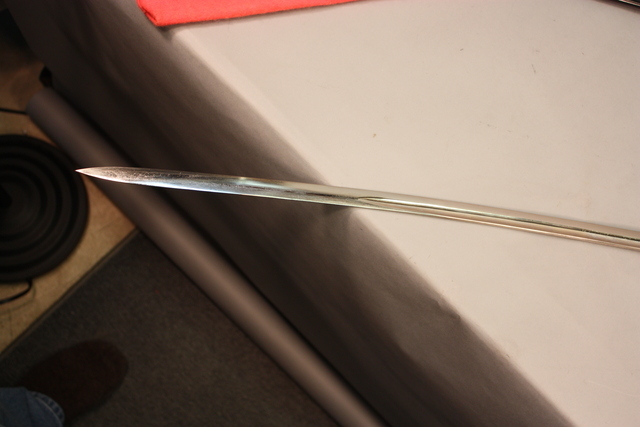 The scabbard has ex. 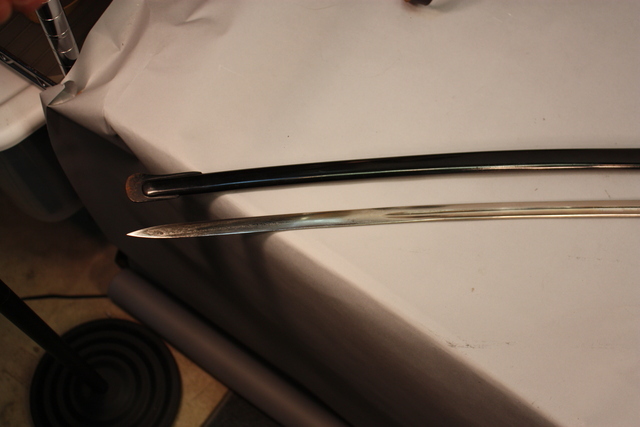 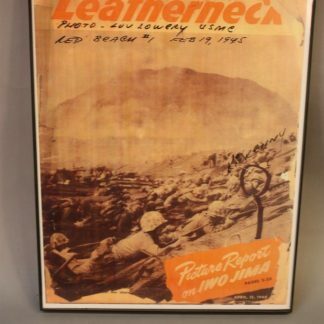 near 100% original paint. 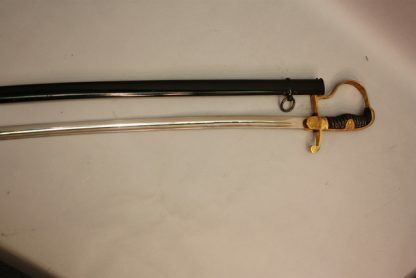 The condition and the hand detail work are what makes this sword unique.